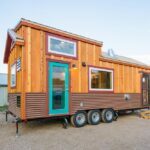 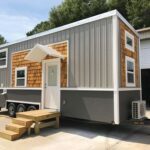 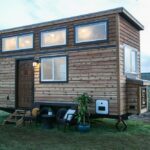 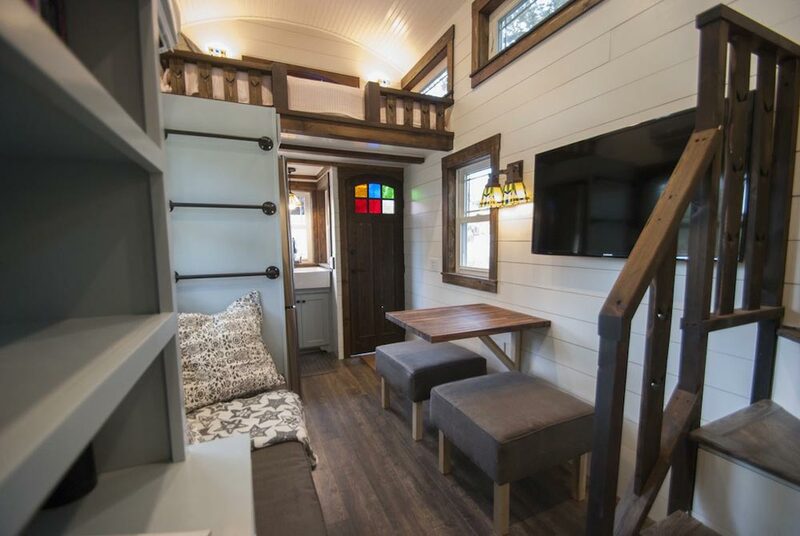 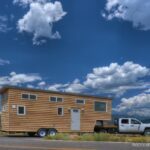 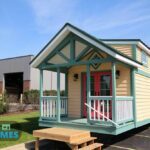 Tiffany is the first tiny house built by Adam Lehman at A New Beginning Tiny Homes. 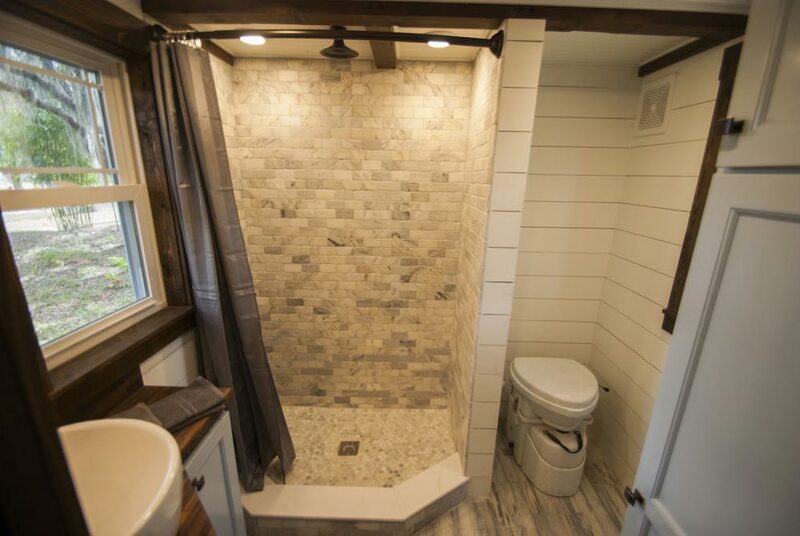 Adam has been a remodel contractor for over 15 years, working on everything from custom cabinets to remodeling multi-million dollar houses. 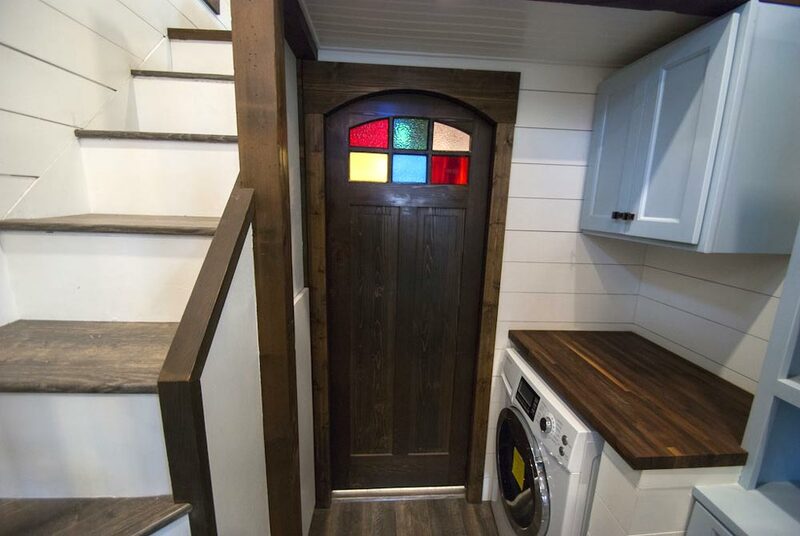 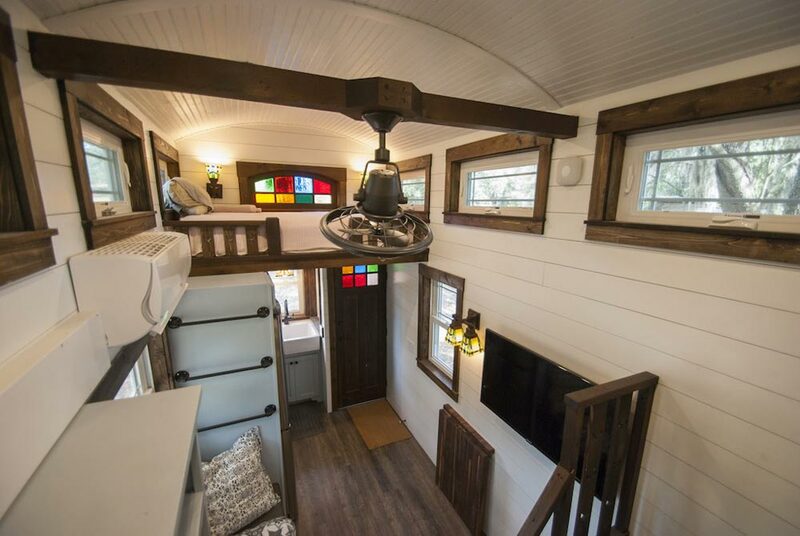 The craftsman-style tiny house features a custom built stained glass front door, pocket bathroom door, and upper window. 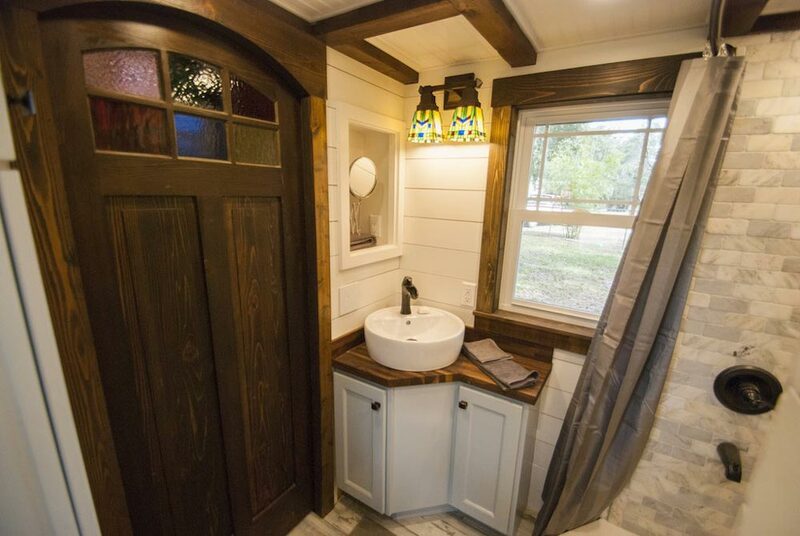 Adam also included a barrel ceiling, custom cabinetry throughout, and a reclaimed cedar tub that he built. 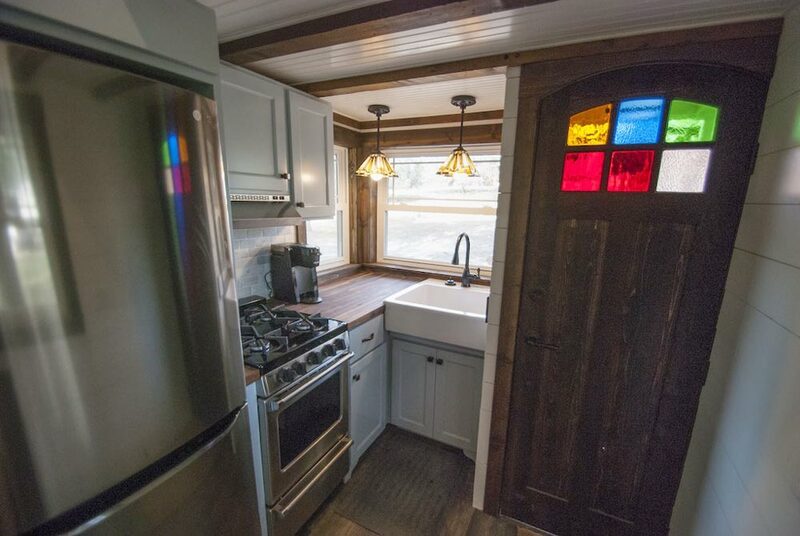 The full kitchen includes a 20″ propane stove, 10.3 cu ft fridge, and a walnut butcher block countertop and folding leaf dining table. 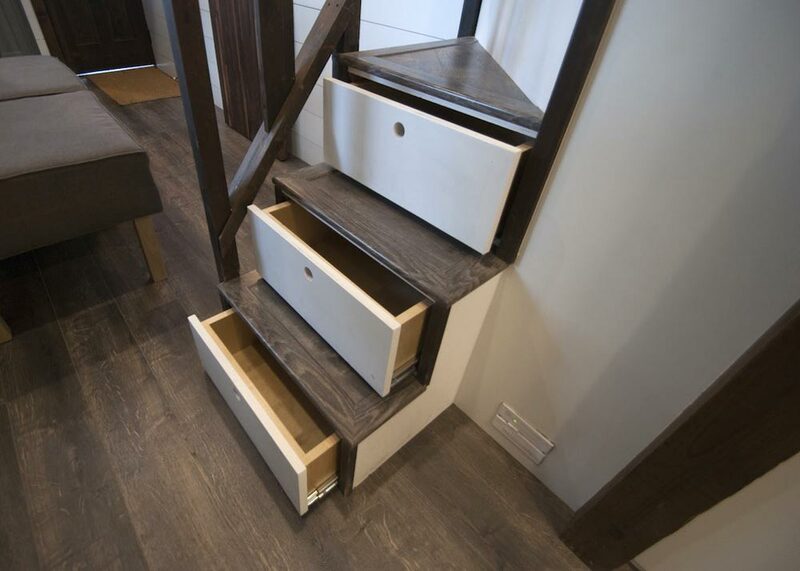 There is a ton of storage space between the dresser, storage stairs, 12″ cabinets behind the master bed, and cabinets in the bathroom. 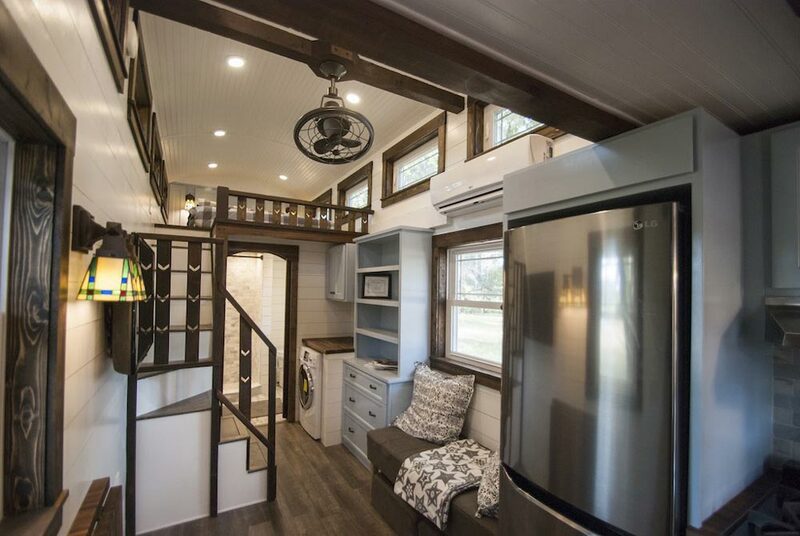 The Lutron light switches and mini split system can be controlled via an app on your phone. 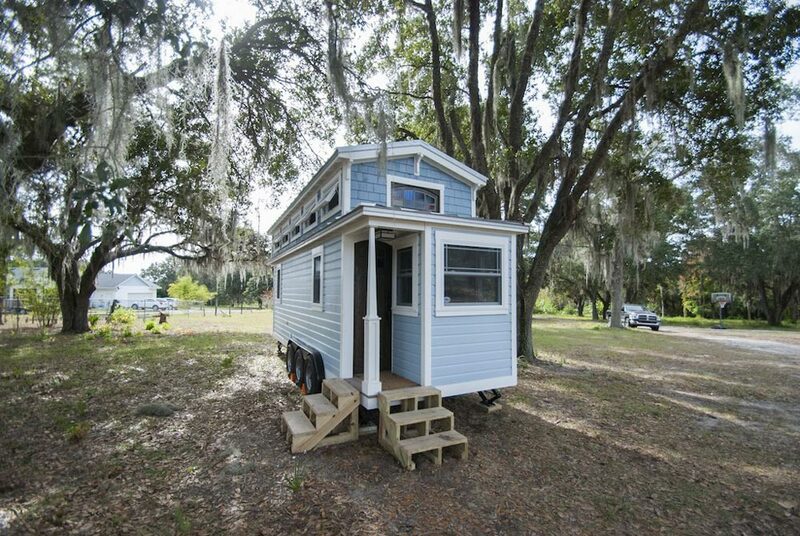 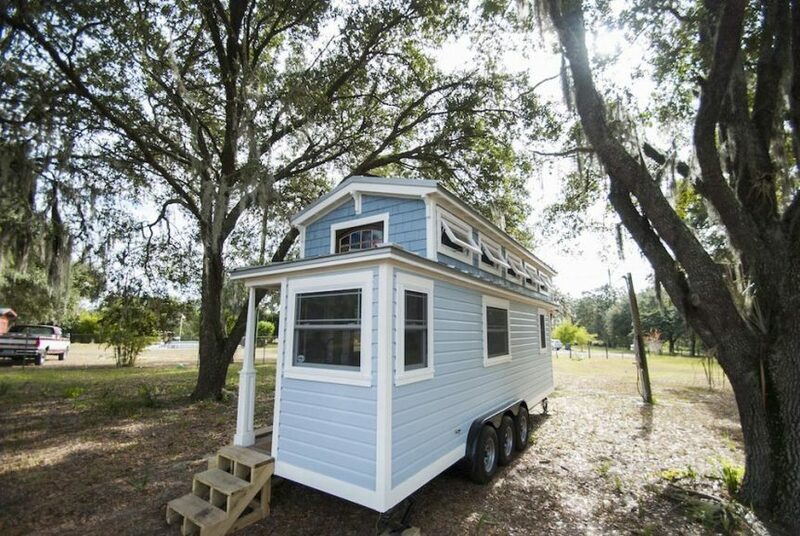 Adam is selling the Tiffany tiny house for $72,000. 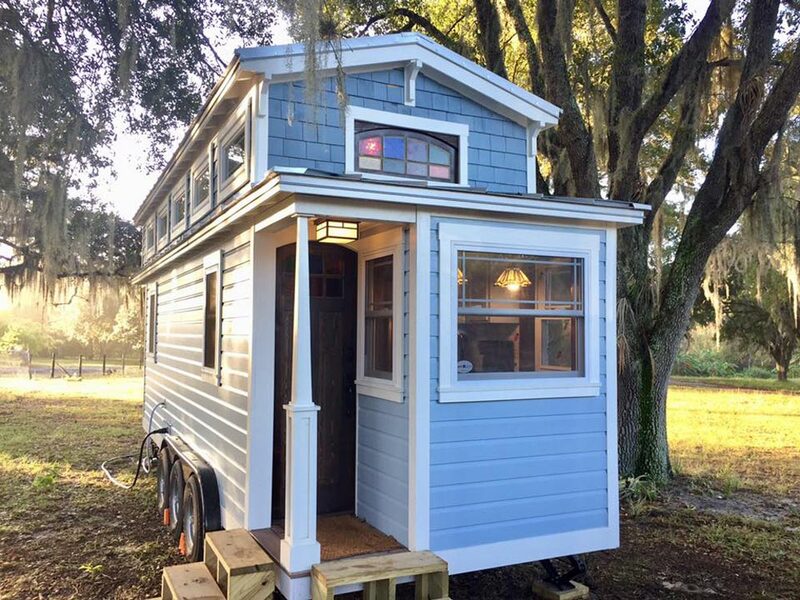 The Tiffany sold in May 2017. 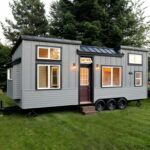 Congrats to the new owners! 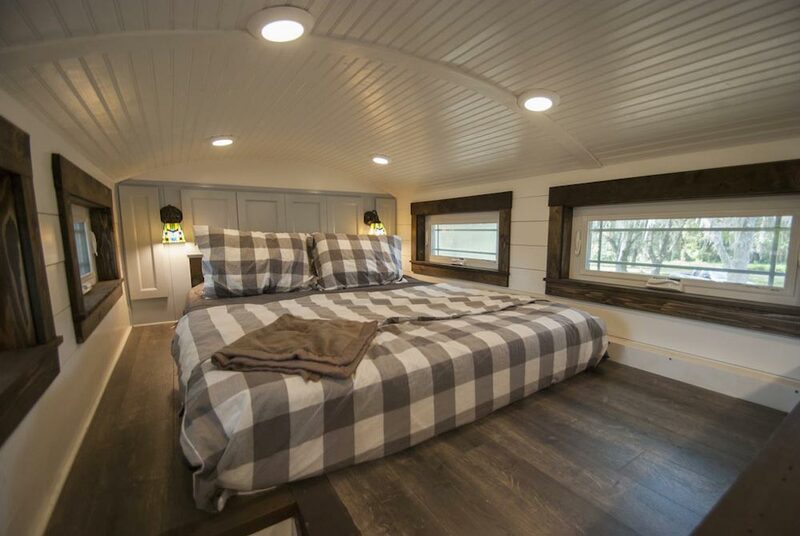 Make sure to watch Adam’s video tour on Facebook! 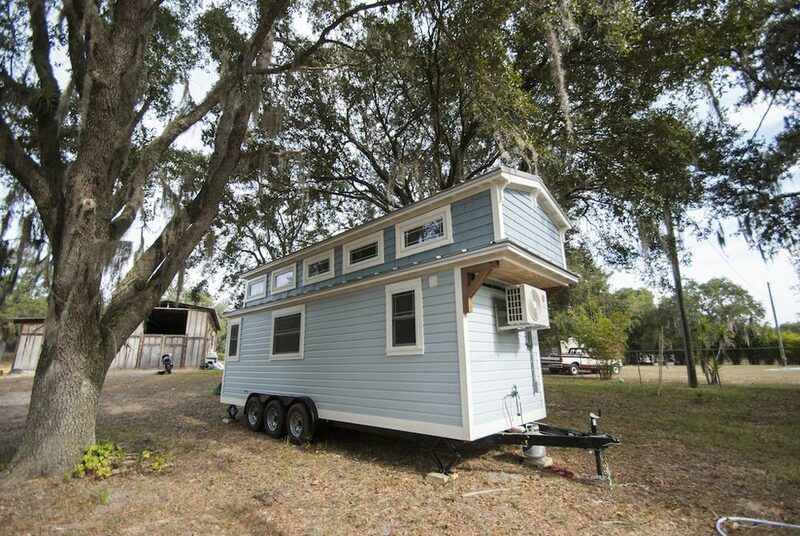 Also available from A New Beginning Tiny Homes: Sportsman.